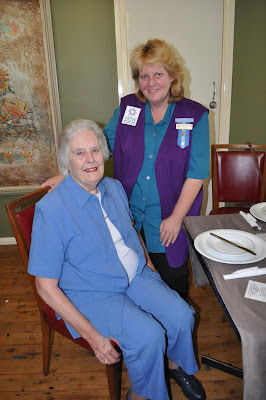 Congratulations go to Molly, a special member who has been with VIEW Clubs for forty years. 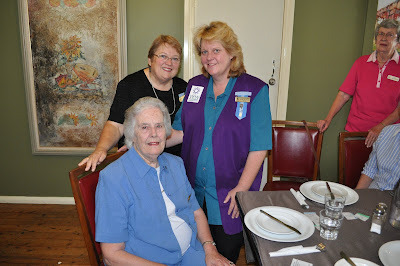 Molly received a special 40 year pin from National Vice President Fiona Spottiswood at our March lunch meeting. Well done Molly, keep well and strong! 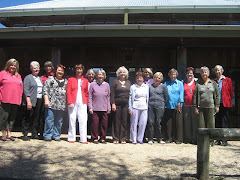 It's Jane from the Bungendore and Region Information website (www.bungendore.info) and I have had an enquiry regarding one of your members (or past members). I am wondering if you have an email address for Anne Maria Lee so that I may contact her? Apparently a friend is looking to track her down and I would like to contact her first and check if she would like to give her email out (and also find out if she knows this person). The Lake George Day VIEW Club is listed under Community Groups on www.bugnendore.info and if you (or whoever is able) could check the listing and update me with details, that would be great. Also, if you have a photo you would like to use for your listing, that would be terrific.